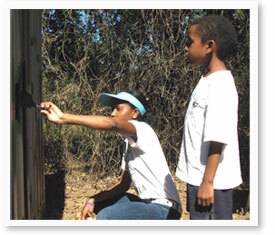 Teens play a big part in the BeBetterU Children’s Philanthropy Enrichment Program. BeBetterU’s teen Star Guides take a leadership role guiding and mentoring younger children through each step of an outreach/service project. Their mission is to serve as positive role models, collaborate with younger children on service projects, and develop teamwork and leadership skills. As assistants to our adult volunteers, BeBetterU teens offer important encouragement and support to our younger children as they discover their passions and talents, develop rewarding 21st century life skills, and inspire a lifelong love of volunteerism and philanthropy. Like our adult volunteers, each teen is trained to guide younger children through the hands-on learning process of designing, planning, and implementing their own outreach service philanthropy projects. This mentorship role is an important bonus for those looking to set themselves apart on college applications.